List of Yggdrasil Gaming casinos with honest review including reputability check of every Yggdrasil Gaming online casino listed. Yggdrasil Gaming is an online casino software provider based in Malta. The company was established at the beginning of 2013 by Fredrik Elmqvist, a former NetEnt CEO. Though the company is still relatively new to the field, it is getting a good reception thanks to its use of state-of-the-art technology and good customer support. The group operates in a variety of regulated online betting markets, licensing its games to several big-name online casinos. The company is headquartered in Malta, with a major development office in Krakow, Poland and regional offices in Malta and Gibraltar. The company is licensed in Malta, Gibraltar, Romania and United Kingdom. Yggdrasil Gaming has been named ‘Slot Provider of the Year 2016’ at the EGR B2B Awards in London, and also won as Software Rising Star at the EGR B2B Awards 2015. They were also awarded ‘iGaming Software Supplier of the Year 2016’ at the 9th International Gaming Awards. Their business model is to develop and operate lottery and casino games from their own game servers. The Yggdrasil server is integrated with the gaming operators’ systems, which make the games easily accessible. Yggdrasil uses HTML5 code to support their ground breaking iSense technology. This new technology allows particle animations, sleeker stop frame/stop motion animation techniques, and CSS3 transitions that allow the effects to be changed from one style to another without having to use Java or Flash. It actually allows users to play Yggdrasil games on a wider range of devices, including smartphones and tablets. It means that users don’t have to worry about the operating systems they are using because Yggdrasil software works with all of them. Furthermore, the games are all mobile-ready, and Mac-compatible, as they are entirely web-based. Yggdrasil Gaming’s Random Number Generator (RNG) has been evaluated and certified in accordance with Maltese, Gibraltar and UK standards, by independent accredited testing houses including iTech Labs. Yggdrasil Gaming specializes in video slots, lottery games, instant Lotto products and Keno games. They also have a portfolio of scratch games, as well as some impressive pooled progressive jackpots. In February 2015 the company announced the launch of its first pooled progressive jackpot game, Joker Millions. The second progressive jackpot Empire Jackpot was released in October 2016 and features three jackpots, a free spins bonus round, a jackpot wheel and a hold feature. The biggest progressive jackpot payout to date is from December 2016, when a player on Joker Millions won €3,291,285. Some of the brand’s biggest video slots include Jokerizer, Winterberries and Robotnik, which has allowed them to make a commercial breakthrough. In the process, they have demonstrated that they can deliver slots of the highest order, time after time. Games like Jokerizer bring an enjoyable theme and crisp gameplay, while Magic Mushrooms brings an electric (if not psychedelic) experience that really is something to behold. The user-interface is very user-friendly – the intuitive layout and quick tips do their job very well. Should you want to have a test-run, you can play the games in Play for Free mode right on their official website. Yggdrasil have signed some deals with some big names in the gambling industry, as they aim to target large casino operators who already market a wide range of casino games, but often lack competitive lottery and number games. Games from Yggdrasil can be found in casinos like Bet365 Casino or Casino Room. On this page you can see the complete list of Yggdrasil Casinos. Yggdrasil’s main objective in the gaming industry is to provide revolutionary games that are not just number based. The games developed by Yggdrasil are compatible with a large number of devices such as laptops, smartphones, or tablets. 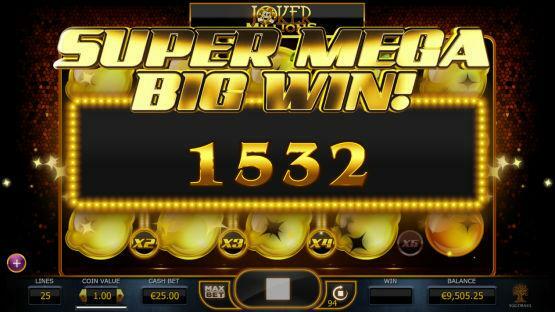 Yggdrasil has produced games such as Keno, video slots, scratch card games and jackpot games. Alderney 60 Isle of Man 0 Malta 182 Gibraltar 83 Jersey 0 Kahnawake 3 Panama 0 Curaçao 159 Unknown 0 Belize 0 Costa Rica 1 United Kingdom 220 Austria 0 Canada 0 Antigua and Barbuda 0 Belgium 1 Bosnia and Herzegovina 0 British Virgin Islands 0 Bulgaria 1 Cambodia 0 Comoros 0 Cyprus 0 Czech Republic 0 Denmark 9 Estonia 1 Georgia 2 Ghana 0 Greece 1 Hungary 0 Ireland 1 Italy 3 Kenya 0 Latvia 1 Lithuania 0 Mexico 0 Netherlands Antiles 3 Nigeria 0 Paraguay 0 Peru 0 Philippines 1 Portugal 0 Romania 1 Serbia 0 Slovakia 0 Spain 1 Sweden 105 Aland Islands 0 Schleswig Holstein 2 British Columbia 0 Cagayan Economic Zone 1 Delaware 0 Nevada 0 New Jersey 0 Ontario 0 How we rate Licensing Jurisdictions?